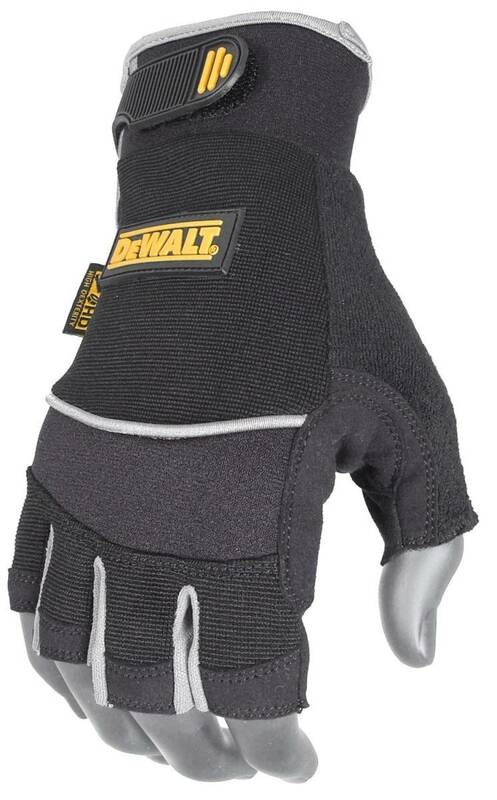 DeWalt DPG230 Technicians Fingerless Synthetic Leather Glove is a fingerless glove with ultra high “bare finger” dexterity that features a full synthetic palm overlay and extended custom wrist closure, making this the most durable fingerless in its class. 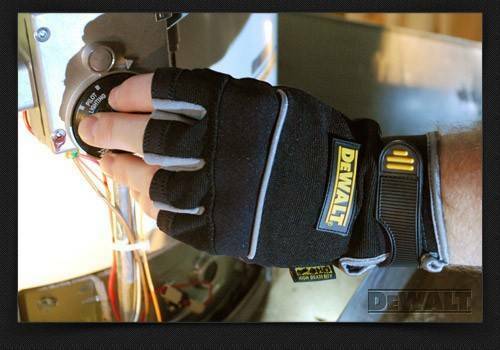 DeWalt HD work gloves afford the highest level of comfort and dexterity available for jobs demanding precise control. Abrasion resistant & machine washable. 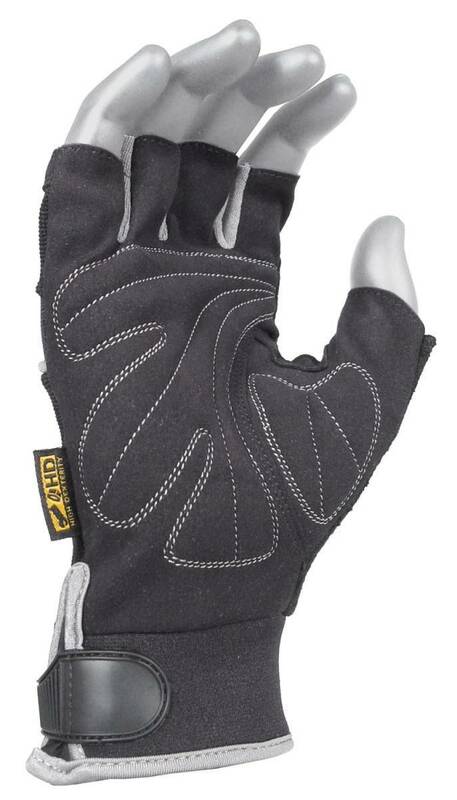 Durable ToughThread Double Stitching extends the life and durability of the glove. Water & Oil Resistant Palm with Double Palm Overlay provides a non-slip grip and ultimate comfort. Stretch Nylon Gusset provides extra debris protection. Extended UlnaLock TPR Wrist Closure for snug, secure fit. Terry Cloth Thumb removes sweat. 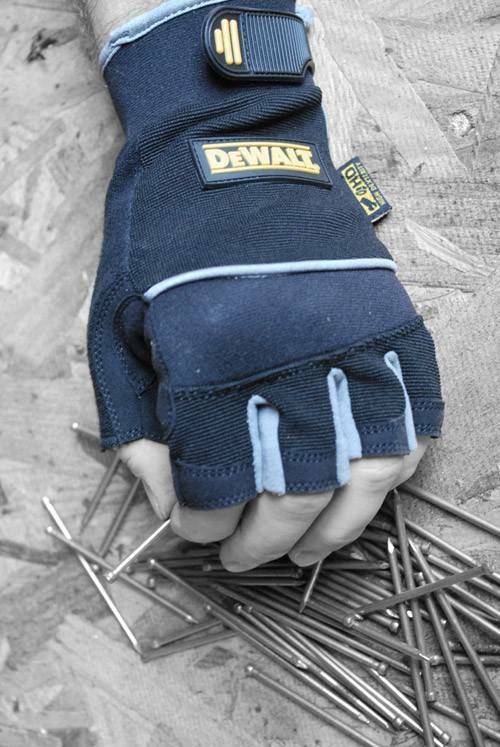 Fingerless Design provides extreme dexterity.